Today, implantation failure is one of the most frustrating problems in IVF. 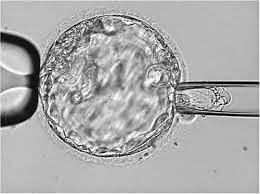 We know that the commonest reason for a failed implantation is a genetic problem in the embryo; this is why Preimplantation Genetic Screening (PGS) was considered to be a significant advance when it was first introduced 20 years ago. The technology offered the hope that if we could test the embryos to ensure they were genetically normal before transferring them, there would be a dramatic improvement in the IVF pregnancy rate. After all, selectively transferring the embryos which are genetically normal would allow us to increase the IVF pregnancy rate and reduce the risk of miscarriage after IVF. Sadly, things that seem perfect in theory, don’t always work well in real life. This is because of the complex nature of human biology. About 15 years ago, the only technology to check if embryos were genetically normal or not was by using a technique called FISH (fluorescent in situ hybridisation).This allowed us to check whether the embryo’s chromosomes were normal or not. However, because it used fluorescent dyes to label the chromosomes, there was a limitation to the number of chromosomes we could check with FISH. As a result, even the embryos that appeared to be normal on FISH had chromosomal abnormalities, which led to IVF failure and miscarriages. When PGD using FISH was first introduced, there was a lot of hype surrounding it. The clinics that offered this dangled the bait of using cutting-edge technology, and this attracted hoards of patients to their clinic. The desperate patients hoped that there would be an improvement in their pregnancy rates. However, controlled clinical trials clearly showed that PGD / FISH did not increase IVF pregnancy rates. On the contrary, this could cause them to drop (the embryo biopsy procedure could damage the embryo). By this time, scores of patients had sunk significant amounts of money on false hope. IVF scientists then claimed that the problem did not lie with PGD, but with FISH. There had been a considerable improvement in genetic technology, and they believed that using more advanced technology such as CCS (comprehensive chromosomal screening) or NGS (next-generation sequencing) for genetic testing would allow doctors to select the normal embryos with greater accuracy. They did not delay in tagging FISH as an outdated and unreliable technique and began marketing the benefits of array technology. This allows us to check all the chromosomes and not just the 6 or 7 that could be screened by FISH. Not More Than a Marketing Gimmick? While it's true that CCS is better than FISH, the fact still remains that it has its own limitations. However, we are now seeing a new marketing blitz. There is a lot of hype about how PGS/CCS will improve IVF pregnancy rates and that it should be offered routinely to all IVF patients. The one important fact that a lot of doctors hold back from patients is that a chromosomally normal embryo is not always a genetically normal one. This might seem confusing- However, even an embryo that appears to be chromosomally normal (euploid) may still have lethal genetic defects which we cannot pick up. These may cause the embryo to arrest after transfer (leading to a failed IVF cycle), or result in a miscarriage. The problem is that when doctors misuse words, patients get confused between terms such as “genetically normal” and “chromosomally normal” embryos. When they fail to get pregnant even after doing PGS/CCS; or if they miscarry after a PGS/NGS cycle, they obviously feel cheated. This is why it's important for doctors to learn to use words precisely. This will ensure that their patients have realistic expectations about what the technology can do for them; or else we will still be caught in the old web of overpromising and under-delivering. This was what plagued PGS in the past, shattered patient’s dreams and led to a lot of unhappiness.